Ligaments are short bands of tough connective tissue, fibrous in nature, that connect bones to other bones around joints. Ligaments limit how much mobility your knees or ankles have, and they sometimes completely prevent a particular action. 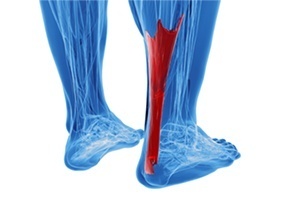 It is common to injure ligaments through blunt force or a sharp change in direction while moving at a high speed. While many ligament tears happen while playing sports, they can also happen on the job. The most common ligament tears occur in the knee joints. If you have suffered this type of injury at a job in Boston or the surrounding area, the workers' compensation lawyers at Pulgini & Norton may be able to help. A tear of the ligaments can result in severe pain, chronic pain or weakness, separation of bones, damage to other parts of the joint, or loss of cartilage. Any tear can severely damage one's ability to move and should be treated. If the tear is not treated, your ability to move in the future can be compromised. Any job that requires you to move constantly or requires you to lift and bend at your joints can cause a tear. Even a slip and fall or motor vehicle accident can result in torn ligaments. As you get older, ligament tears become more common. If you are not able to earn wages for five or more days because of a job injury, your employer has seven days, not including holidays or Sundays, from the fifth date of loss to report the injury to its workers' compensation insurance carrier. From the date of receipt, the carrier has 14 calendar days to mail you a check or send you a form stating reasons for denial. If you suffer a ligament tear on the job that renders you unable to work, you may be able to recover partial and temporary disability benefits through the workers’ compensation system. For partial disability, you should be able to recover benefits for up to 260 weeks unless you have 75% loss of function, in which case the time period can be extended. Among other things, you may recover up to 75% of the temporary total disability rate. If you are totally disabled on a temporary basis, you can potentially obtain 60% of your average weekly wages before the injury. You can also seek medical expenses for reasonable and necessary treatment, including doctor's bills, procedures, physical therapy, prescription medication, mileage, and parking. For some workers with ligament tears, it is no longer possible to do the same job. These workers may be able to recover vocational rehabilitation benefits, which provide retraining so that the worker can return to an appropriate job. In some cases, ligament tears require very extensive treatment and rehabilitation. You can recover benefits for the time you need to spend out of work. Ligament tears can be disabling. Although you may be tempted to wait and see, it is important to seek medical care as soon as possible because you may not know how long it will take for the injury to heal. The workplace accident attorneys at Pulgini & Norton may be able to help individuals in Boston pursue benefits. We also have assisted many injured employees in other Massachusetts communities, such as Hyde Park, Andover, and New Bedford. Call us at 781-843-2200 or contact us via our online form for a consultation.